Last week I unveiled big changes at Theme of the Crop. Today I’m introducing the new Customer Accounts page. If you’ve purchased one of my products, you now have a user account with Theme of the Crop that you can access to manage your purchases. 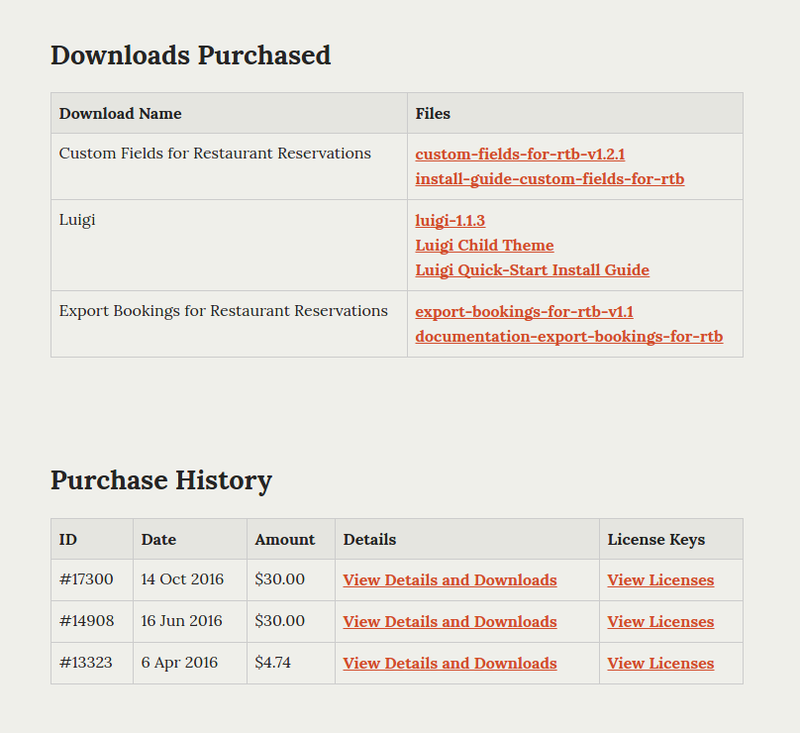 Once logged in, you’ll be presented with a list of all downloads you’ve purchased in the past. Below that, you’ll find records for each of your purchases, with links to the Purchase Receipt as well as your license keys. 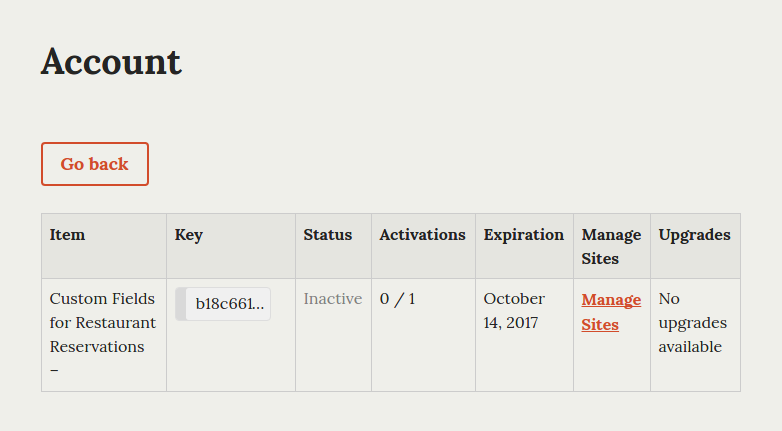 When viewing the License Keys for one of your purchases, you can see whether it’s been activated and on which site(s) it’s been activated. This is useful if you activate the license on a development site, like dev.mysite.com, and forget to switch your license activation over to the live site before you delete the development site. When your License Key has expired, you’ll find a link here to quickly renew it.